Even though I love reading the latest and greatest reads on the market, there will always be books that no matter how may new books I have purchased, I will always re-read. We’ve all read the magical Harry Potter so understand the power behind the word always. My always novel dear reader will forever be ‘Frankenstein’ written by Mary Shelley. I studied the novel when I was in Year 12 Literature and continue to fall in love with the tale more and more every year. I try to read the book once every year when I find the chance. Even though there are so many books in my life that I want to read, I have a special relationship with this story. Because when I read the novel so many times that I feel like I am introduced to a different story every time; I manage to extract something new and glorious from it each time. What I still love most about the story, is the woman who wrote it. When I was 21 I went on a holiday to Europe and one of the pit stops was Lake Geneva, the same age as Mary when her story was published. I was even re-reading ‘Frankenstein’ on the train before I arrived because I was so excited. 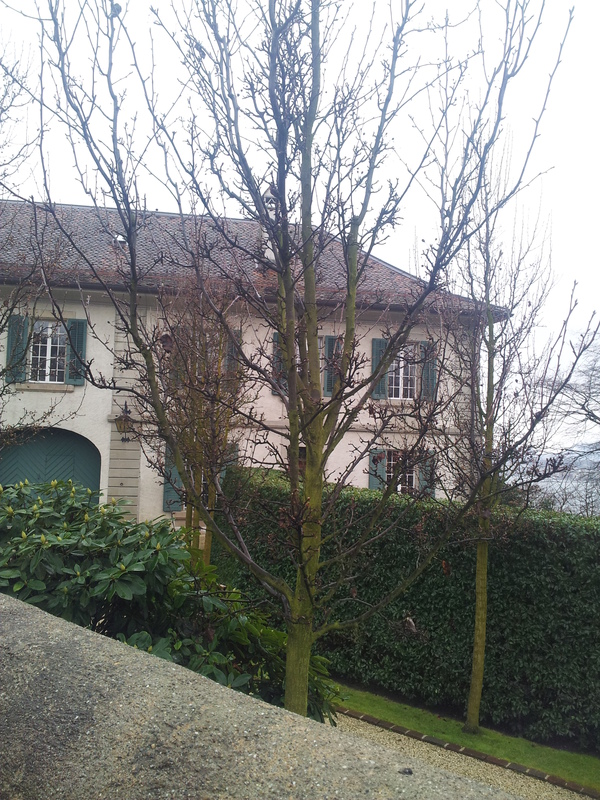 I travelled to Villa Diodati overlooking Lake Geneva in Switzerland. 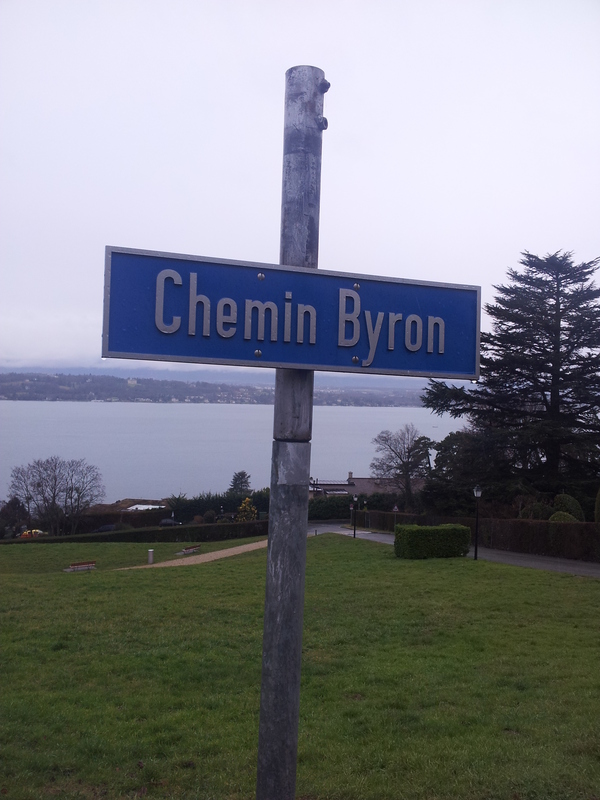 It took two information desks and three hour of travel on public transport and walking aimlessly through the streets of Geneva to find it, but I was so glad that I did. It was in 1815, Mary Shelley and her husband Percy stayed at this Villa where Lord Byron and his assistant John Polidori were staying. The four of them had a competition to see who could write the creepiest horror story. Drawing on all of her life experiences and family horror, the literary goddess Shelley came out with the win. I first learned of this tale when I was studying Literature in Year 12 and it never left me and I always knew that I would see it one day.Standing in this spot was an incredible moment. Oh let me assure you dear reader, I was a very excited little fan girl standing out the front. I’m not the only person out there who is absolutely obsessed with M-Shel, and over the past month I have read two books that present very different views on her fascinating life. I first stumbled across Historical Fiction through the novel ‘Z’ by Therese Ann Fowler which details the life of Zelda Fitzgerald. I hadn’t heard much about Zelda except her famous husband Scott. Reading this story made me fall head over heels with her vision for life, love and literature. I really like that these stories are written with soul and purpose. They bring the authors to life and make them real and relatable characters, even though they are guilty of living extremely scandalous lives. Since reading this story, I am so intrigued to look for fiction about the literary geniuses I love. 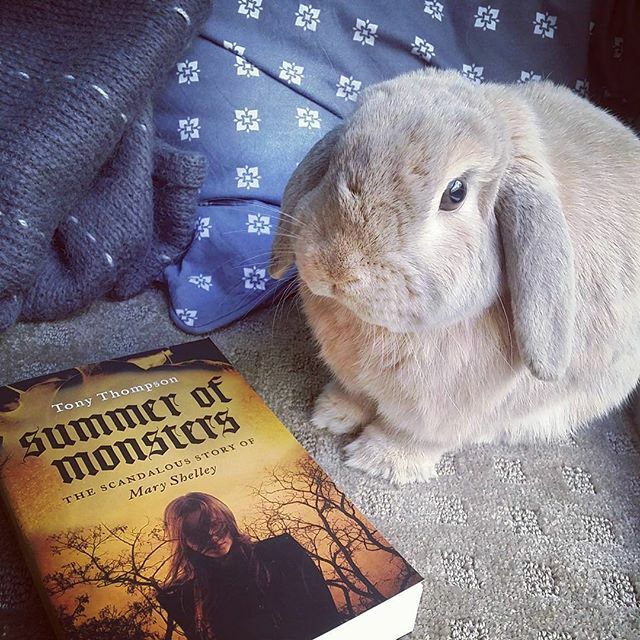 The first of my reads was called ‘Summer of Monsters’ by Tony Thompson. He is an Australian author and did a lot of his research overseas for the story. What was really interesting about this tale was it detailed the childhood experiences of Mary Shelley. It discussed the trauma of losing her famous mother Mary Wollstonecraft and the difficulties of a challenging step mother and passive father. As much as this was historical fiction, I did at times feel like I was reading a fancy young adult novel. I am a bit disappointed in this book that it didn’t go over her writing the tale at the Villa Diodati, especially because I have such a strong connection to the place. However, it was still so cool to read all about her childhood and for that reason I gave the book three tea cups. I would definitely recommend this book for a light hearted read. The second book I read was given to me from a dear friend because she knew I loved the Romantic poets, called ‘Young Roman. 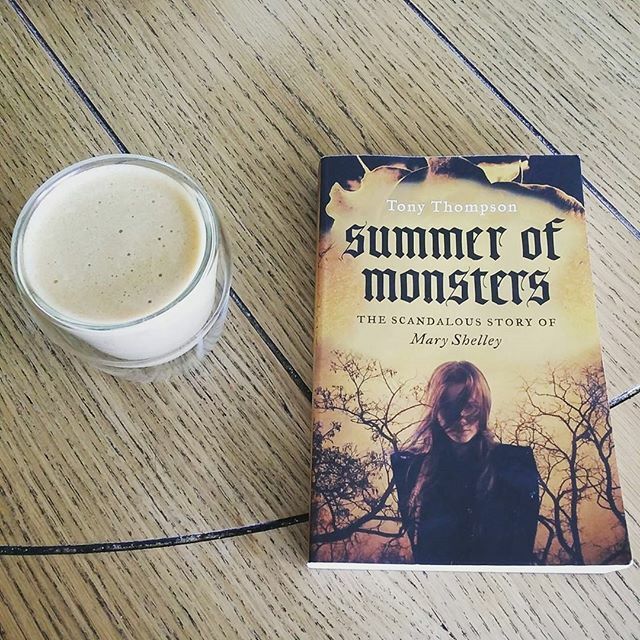 After reading ‘Summer of Monsters’ I was compelled to read so much more about Mary. I was glad I read this book second. ‘Young Romantics’ was so detailed with not only Mary, but Percy Shelley, Byron, Keats and so many more. This era was filled with so many historical figures that all influenced Mary’s writing. In fact, all the Romantics empowered each other to write with precision and accuracy of the soul. It was really graphic to read how horrible at times Mary and Percy’s marriage was. Even though he viewed her as his literary equal, being a woman in this day and age was extremely difficult. She suffered so much sadness in her short life. I couldn’t give this story any less than five tea cups, because I have never read anything like it. 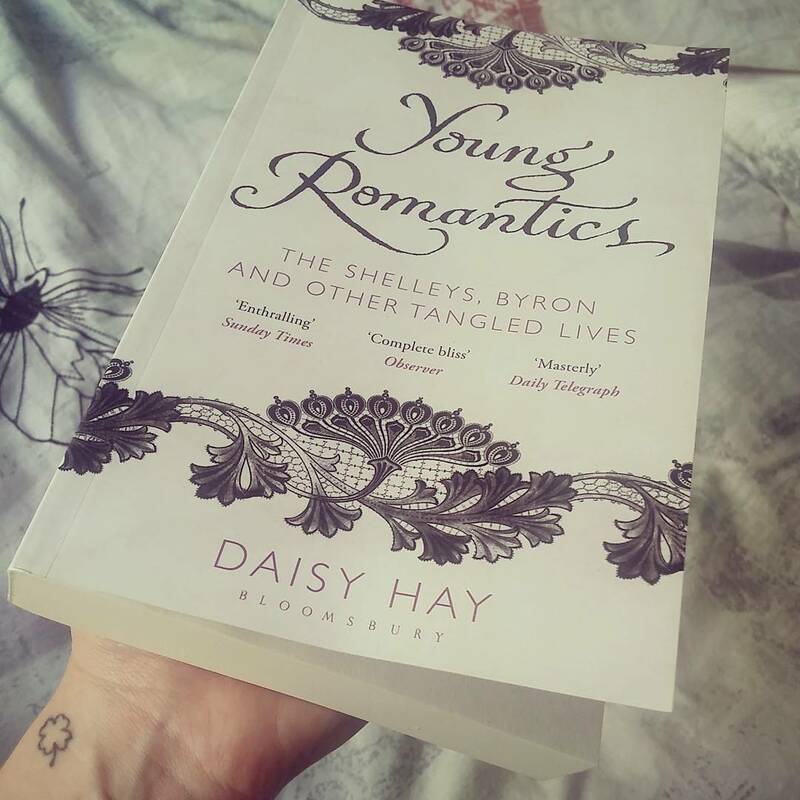 Daisy Hay manages to write as an enjoyable novel with all the information of an encyclopedia on the Romantics.Her passion is contagious and dear reader if you have any interest at all in the Romantics you must read it! I have become such a fan of reading popular historical fiction about the authors that I love and will continue to read this style of writing. 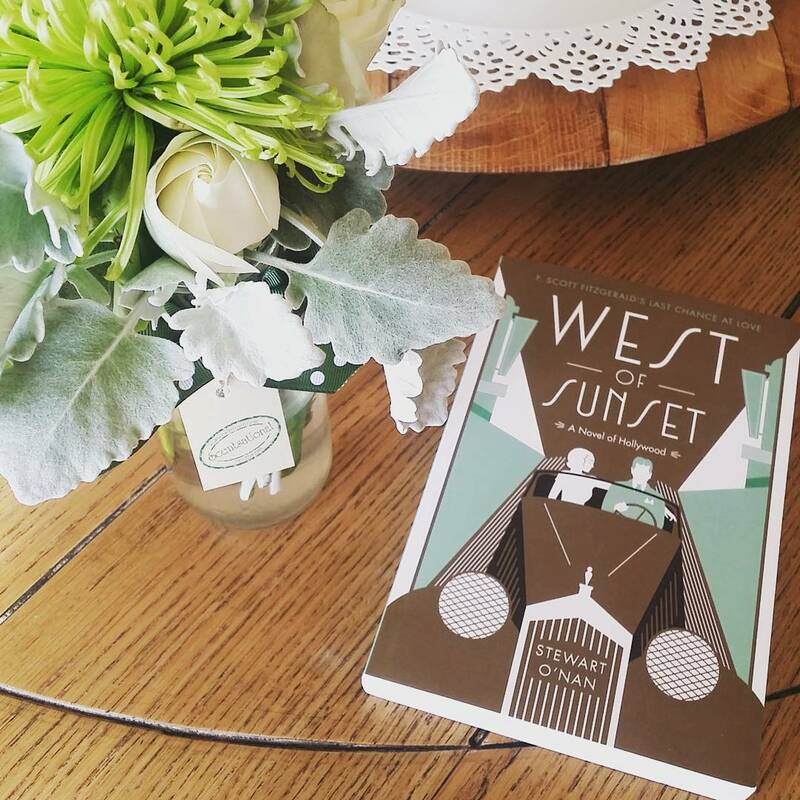 I have just picked up a new Historical Fiction read called ‘West of Sunset’ by Stewart O’Nan which explores the last love affair of Scott F. Fitzgerald. And from what I read on the blurb, it isn’t about Zelda! I can’t wait to read it! The Last Love Affair of Scott F. Fitzgerald… My latest historical fiction read. I have read Young Romantics by Daisy Hay, as well. I have read extensively in this area and the most fascinating person for me was Clair Clairmont, Mary Shelley’s step-sister. She had to make her own way in life without the aid of a famous husband and famous novel. She was a governess in Russia for some time. Henry James’ novella The Aspern Papers was based on her late life and the fact that many people, writers and reporters, especially, befriended her later in life in an effort to obtain letters from Shelley which they thought she possessed. I enjoyed your post. I loved, loved, loved ‘Z’! It’s my understanding that they are turning it into a movie, too! I want to read West of Sunset, too. That Art Deco cover is amazing. Isn’t ut incredible to go somewhere that an author had been and imagine it 100-200 years ago?